One thing is for sure: This year's Worn & Wound Wind-Up Watch Fair New York event at Chelsea Market definitely captured the flavor of the real New York City – particularly if you are one of the moribund unfortunates that have to take the subway every day. The event, at least during the time when I entered the glass doors (we showed up at 1 pm on Saturday; it runs again tomorrow of its last of three days from 11 am to 7 pm), was so jam-packed that it sorta kinda made this year's trip out there almost untenable. I'm not kidding: Hordes of Mr. Neckbeards swarmed throughout the hall, packing the areas in front of many of the most popular brands (especially Oris, Laco, Stowa, and Dan Henry), slamming their backpacks into others who simply wanted to get a look at the tables. My wife wasn't having a particularly good time getting almost knocked to the ground, so we made it a much shorter visit this time out. The idea of these shows, according to W&W, a “3-day long watch culture event featuring a range of curated watch brands, accessories and ephemera.” That's basically what it is, but this particular fair really does seem to focus on startups and new brands; for every, say, Mido, there's a Brew, Collins, and Farer. It's all fun … when you aren't armpit to armpit with village dwellers – but it is a chance to, even if you don't buy anything, come home with a bag full o' catalogs, pens, and other watch-related crud. Thanks to the horde of watch fans that attended this year, it was exceptionally hard to capture a whole lot of decent photos. So we'll offer what we can here, and hopefully they're not too bad, but not as plentiful as last year's “coverage.” Cripes, even Chelsea Market was barely passible. Just a busy Saturday, I guess; welcome to New York. 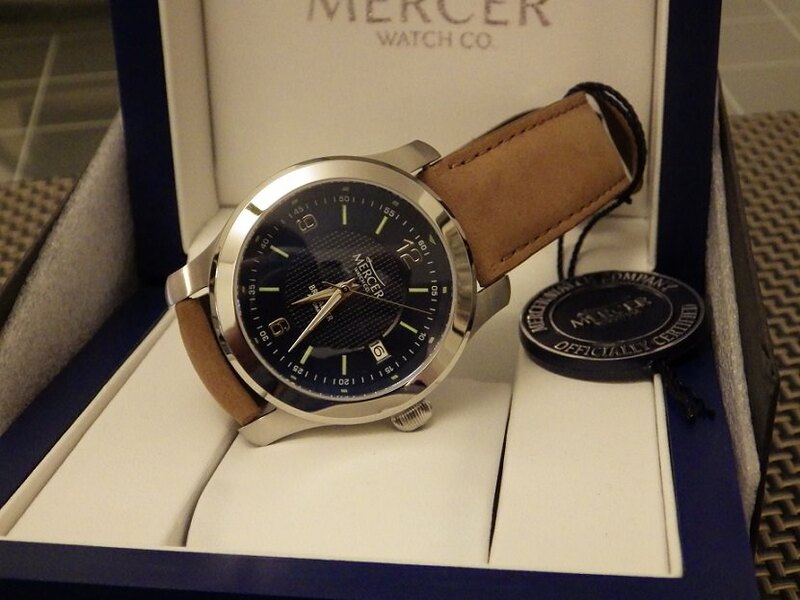 Observations on various brands: Other than Dan Henry, last year's best cost-to-value brand I found (in addition to Orient, of course) was Mercer Watch Co. of New Jersey – and this year, I picked up an auto Brigadier, the first watch the brand ever issued a few years back. Lots of brands were offering discounts to buy at this fair, and the 15 percent off was a factor, sure. 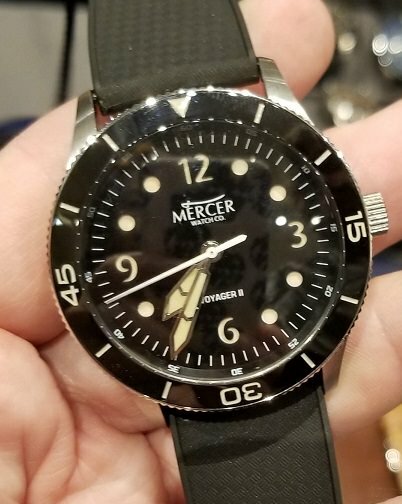 Most Mercer watches offer Miyota, Seagull, or even Sellita autos (there are quartz offerings as well); mostly sapphire crystals; the watches are assembled in NJ (no phony flag-waving involved this time); and the case work as well as the quality of the straps and bracelets make this brand a real bargain – from their handsome diver to the other watches, prices only range from about $650 on down. The same can be said for Laco, which really impressed me – I don't think there was a single watch on their entire display I woudn't be happy to own. The build quality and movements were all just what I'd covet. Mondaine: Nothing new; the Railroad series (still cool), and an array of those Helvetica things, many in day-glo colors. I don't get it. Mido's presence there always surprises me; it seems funny to see an expansive Swatch company display tucked in with all the mom-and-pops. Great stuff; the Multifort remains on of my favorite designs. Martenero was another pleasant surpsrise: Autos and sapphire crystals, low prices, and some pretty unique designs. Dan Henry was touting its new 1964 chronos, and they seemed pretty sleek, but it looked and wore small (I don't even have large wrists and it seemed oddly tiny, even to the point of being flimsy), so I passed. They're also touting the new 1972 alarm chronos on bracelets, and those particular bracelets I also didn't care for. Already own the 1970 and 1968 at present. The other brands ranged from interesting to incredibly garish. The best of the shots from the rest of the show are used here – it was really hard just getting to the front of the tables, and photos of the displays themselves were really hard to do; too many shots of the backs of heads and torsos. Hope you enjoy in any regard. If anyone wants to learn more about any of the brands, go to the following link and click on the brands. As always, appreciate you sharing your access to such events. Hate that it was so crowded. Fantastic reportage, T. I enjoyed this a lot. Someday, Oris will discover anti-reflective coatings. Thanx for sharing! !..what a great way to spend the day.. Thanks for all the great info. 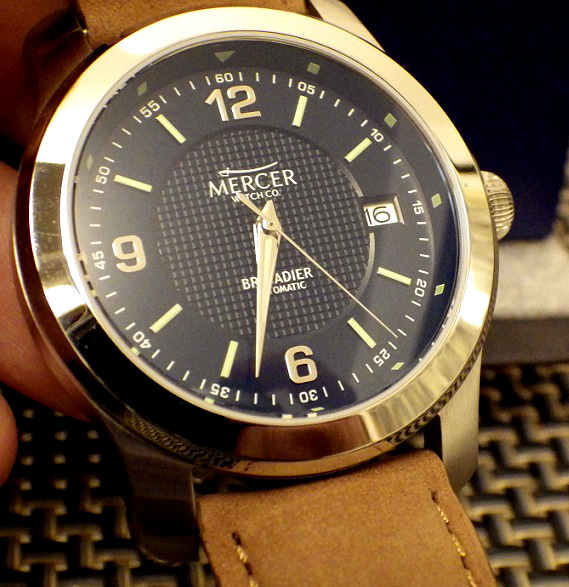 That's a nice Mercer you got. I was surprised to see that Stowa makes a hideous watch. First bad one I've seen. I'm sure you know which one I mean. Same can be said for that Oris moonphase. The Chronoris chrono is my pick 'o the litter. 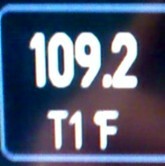 foghorn wrote: Thanks for all the great info. That's a nice Mercer you got. I was surprised to see that Stowa makes a hideous watch. First bad one I've seen. I'm sure you know which one I mean. Same can be said for that Oris moonphase. The Chronoris chrono is my pick 'o the litter. Actually I was referring only to the 3rd Stowa picture,watch on the right with the gnarly case. But these latest pics with the vomitous hues can join it. 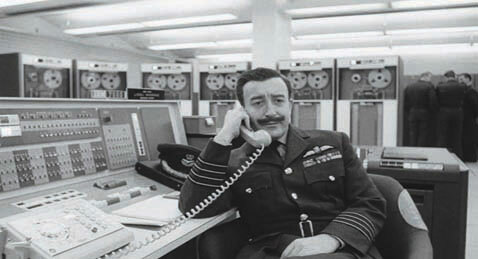 foghorn wrote: Actually I was referring only to the 3rd Stowa picture,watch on the right with the gnarly case. But these latest pics with the vomitous hues can join it. Side by side like that, they remind me of one of those four-in-one Croton TV sets ("Buy it once, you get four gifts for your loved ones! ").